“We should talk about supports that families need. We should talk about it when there are cuts. We should talk about it when lack of services makes it difficult for us to work, to go out in the community, to perform ADLs, etc. We should talk about supports and services until our faces turn blue – but NOT in connection to murders. When someone kills their disabled child/children and our response is “this shows that we need more services,” we as a community are taking people with disabilities hostage. The implicit threat is “give us more help or the kids die.” Saying that parents are forced to kill their children by lack of services also destigmatizes child murder and excuses the parents’ actions. The truth is that plenty of parents raise children with disabilities under all kinds of circumstances, without killing or abusing them. The importance of the statement above, made by Autistic activist Zoe Gross, cannot be overstated. Image is peach graphic with light pink peace sign. The text reads: ter·ror·ism [ter-uh-riz-uhm] noun the use of violence and threats to intimidate or coerce, especially for political purposes. On April 3rd, Robert Robinson was murdered by his mother, Angie (who also committed suicide). Robert was 16 years old and Autistic. The conversation following the murder centered around lack of services and sympathy for the mother. As it always does. I can say always because this happens with enough frequency to warrant that language. Why are we not collectively outraged that disabled people are being held hostage by those that are making terrorist threats? That IS, by definition, what is happening. A politically motivated group is making threats of further violence against a vulnerable group of people. Disabled people. It is tempting to negotiate with terrorists. Especially when the threats of violence are credible. And recent history has shown these threats to be quite credible. But we know that submitting to this type of savagery opens the door to continued–escalated even– violent coercion. Surrendering to those that use homicide as a negotiation tactic serves to reinforce this as a viable means of political gain. Productive conversations by peace loving people do not begin with ultimatums of brutality. Not ever. Parents that love their disabled children do not threaten to do them harm should their demands not be met. People that value the lives of disabled people do not sympathize with the thugs that make such threats. Nor do they use the violence already perpetrated by other parents as blackmail to achieve their objectives. The most compelling argument cannot be entertained when it is dictated that the rejection of said argument will result in the intentional harm of other human beings. Scores of parents to Autistic children are engaging in this type of threat. By doing so, they are undermining what is, in many cases, a valid plea. ALL Autistic people need more support and accommodation. Caregivers need different and better supports than what is currently available to most. (I would argue that what caregivers think is needed, in most cases, is actually contrary to their objectives but that’s a whole other discussion). However, the murder of a disabled person is not a result of the failure to meet these needs. The murder of a disabled person by a caregiver is an intentional act of hate. Pairing it with a suicide does not make the perpetrator more sympathetic, more understandable, or less hateful. Attempts to make martyrs out of those that execute or attempt to execute (as we see being done with Kelli Stapleton), is consistent with the strategies that terrorists routinely employ. I demand that my Autistic child and her tribe be treated humanely. And though standing up for human rights and social justice is of critical importance and is central to my beliefs, I haven’t once resorted to threatening violence if my demands are not met. How ironic, then, that those actively engaging in terrorist-style ultimatums and threats, consider me to be a part of some sort of radical fringe movement. Chew on that! This entry was posted in Uncategorized and tagged autism, Autism Advocacy, Autism Parent, Autism Parenting, Beth Ryan, Disability Rights, Kelli Stapleton, Killing Autistic People, Love Explosions, Murder, Murder of Autistic people, Parenting Autistic Children by loveexplosions. Bookmark the permalink. I have long called for Autism Speaks For Normie ___holes to be reclassified as a terrorist organisation. Not sure when I first started shouting about it, but it has been years. Thank you for showing me that someone else gets it. You make a good fist of articulating perspective on a very difficult issue and topic. “The murder of a disabled person by a caregiver is an intentional act of hate.” I don’t think, that we can know that this is so, or that we need to make any claim about this. I think it enough that, as you say: murdering those you are caregiver for can never be justified; and that any understanding we have of the murderer’s circumstance cannot be allowed to morph into acceptance of the action of murdering. Keep required discussions (of services and murdering) separate and running in their own appropriate channels. I get that. Any group that has hegemony over another group will always feel like it is their right to determine the fate, and even the survival, of smaller and less powerful groups. Neurotypicals are the neurological hegemons of humanity. They outnumber the rest of us by an extremely wide margin. All human cultures, political systems, economic systems and social structures are created in order to satisfy neurotypical (special) needs, even if those systems are almost always completely dysfunctional. Human civilizations have always been about which groups have privilege and authority over others, and which will be oppressed and repressed. Many autistics remain underground in bunkers, trying to remain stealth, trying to blend in among dominant neurotype. Those of us who are older (born before autism was widely known) are suspicious of the labeling placed on autistic kids by the school systems and therapists. To many of us, it seems like society is making them wear a gold star on their clothing every day, with labels of “autistic”, “disabled”, “special needs”, and parents scramble to find services for their kids that probably won’t do them any good anyway. Oppression is almost always justified under the false pretext that it is a service being offered to the group that being oppressed. Yes, when parents murder their autistic kids it is terrorism. Terrorism is much more than an act of violence. It is a statement made specifically to a group of people, and it is an ongoing threat. It is psychological warfare. The mothers who murder their autistic children and then commit suicide (or attempt to commit suicide) are creating a social precedent, which also can become a legal precedent. There were quite a few mothers of autistic children who came out in support of Kelli Stapleton. I wonder if they realize that if Kelli gets a lighter sentence because her daughter is autistic, that will be a court decision that can be used to determine the outcome of similar cases in the future. I can’t imagine why parents of autistic kids would support the idea of reduced sentences for people who murder autistics. They seem to be doing everything in their power to make sure the world their kids will grow up in is as dangerous and terrifying for them as possible. 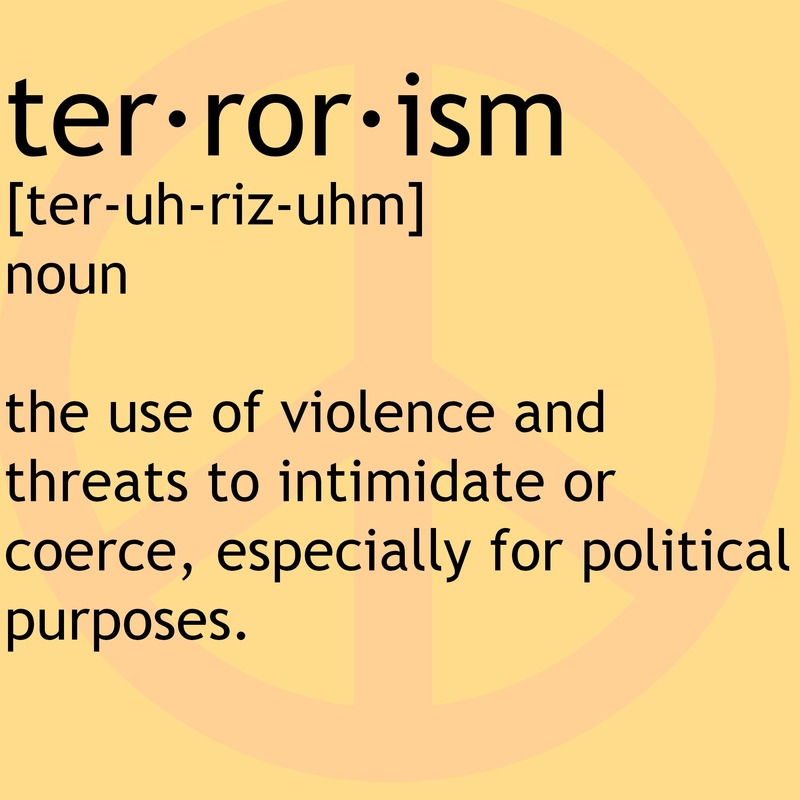 Yes, it is terrorism. But to the neurotypicals in society, a mother murdering her autistic child is just a news story. To those of us who are neurodiverse, it is a very clear message that the majority of humanity would like to see us exterminated.